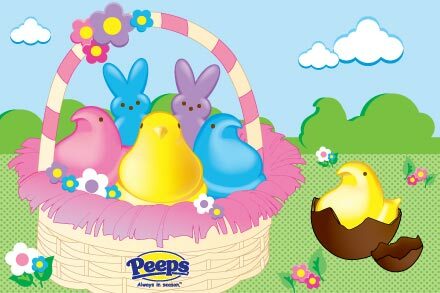 Let there be PEEPS® on earth and let them grow stale for ME! I am now an OFFICIAL member of the Peeps® Fan Club! No one can say that I don’t have my priorities all straight. Not everyone understands my deep and abiding affection for Peeps®, but I ask them to try to be understanding – at least for Easter.